This book presents a comprehensive set of fun, interactive classroom activities devised by contributors who are experienced teachers as well as leading scholars in their areas. Chapters cover all the topics typically included in existing positive psychology textbooks, emphasizing the hands-on experience that makes positive psychology courses so powerful. Extensive reading lists point interested readers towards a fuller understanding of the topics. The book is a rich source of ideas for all teachers of psychology, from novice to experienced instructors and is published by the American Psychological Association. This book builds on Dr. Seligman's game-changing work on optimism, motivation, and character, to show how to get the most out of life, unveiling an electrifying new theory of what makes a good life - for individuals, for communities, and for nations. In a fascinating evolution of thought and practice, "Flourish" refines what Positive Psychology is all about. While certainly a "part" of well-being, happiness alone "doesn't give life meaning." Seligman now asks, What is it that enables you to cultivate your talents, to build deep, lasting relationships with others, to feel pleasure, and to contribute meaningfully to the world? In a word, what is it that allows you to "flourish"? "Well-being" takes the stage front and center, and Happiness (or Positive Emotion) becomes one of the five pillars of Positive Psychology, along with Engagement, Relationships, Meaning, and Accomplishment--or PERMA, the permanent building blocks for a life of profound fulfillment. Thought-provoking in its implications for education, economics, therapy, medicine, and public policy - the very fabric of society - "Flourish "tells inspiring stories of Positive Psychology in action, including how the entire U.S. Army is now trained in emotional resilience; how innovative schools can educate for fulfillment in life and not just for workplace success; and how corporations can improve performance at the same time as they raise employee well-being. With interactive exercises to help readers explore their own attitudes and aims, "Flourish "is a watershed in the understanding of happiness as well as a tool for getting the most out of life. Makes a passionate case for happiness as a goal that deserves at least as much as any other in our lives. Wealth? Fitness? Career success? How cab we possibly place these above true and lasting well-being?? "Man's Search for Meaning" is the story of a man who became a number who became a person. Today Frankl is one of the most famous and gifted of all psychiatrists. Frankl developed his ideas now generally known as the Third School of Viennese Psychiatry -- the school of logotherapy. The incredible attempts to dehumanize man at the concentration camps of Auschwitz and Dachau led Frankl to commence the humanization of psychiatry through logotherapy. Frankl is a professional who possesses the rare ability to write in a layman's language. 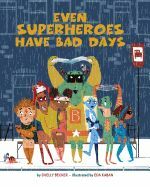 With child-like smiling stick figures, bold, brilliant colour and upbeat text, this book offers different definitions of peace: offering a hug to a friend, keeping the streets clean, and so on. The closing message peace is being who you are is illustrated with Parr's usual multicultural mix of blue, green, brown, yellow and purple faces.Parr's quirky artwork and eternally optimistic books are truly irresistible, for both grown-ups and kids. Integrated, practical approach which allows family therapists to utilize positive psychology principles into their interventions right away, without additional training. Positive psychology is one of the hottest trends in therapy, but very little is available on how to actually put it into practice. "Quality of Life Therapy" shows clinicians how to expand their practice to "pure" positive psychology cases and professional groups who do not suffer from clinical or DSM disorders but who nevertheless want to be happier and more successful in life. The book includes 44 positive psychology growth exercises on CD-Rom, and 148 happiness prescriptions based on the latest research for use in all areas of life that clients may care about, including life Goals-and-Values, Spiritual Life, Self-Esteem, Health, Relationships, Work, Play, Helping, Learning, Creativity, Money, Surroundings� Home, Neighborhood, Community� and relapse prevention. Hearing critical internal voices is a common mental health complaint, and not necessarily indicative of a serious problem. Annoying internal chatter can result from any number of issues�such as depression, phobias, trauma, obsessive-compulsive disorder, etc.�or simply be a result of an active, ruminating mind. This concise paperback is chock full of exercises and strategies for helping to quiet them. Rather than focusing on changing the words themselves, this method emphasizes changing how the words are spoken. Each chapter is devoted to a specific, easy-to-implement technique, like changing the location of the voice, its tempo, tone, or volume, imagining the words are spoken to music, etc. The book walks readers through exercises for viewing these voices as useful and productive indicators of emotions, and not as something to fight against. 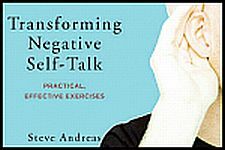 The author demonstrates how to take control of the self-talk and transform it in a beneficial and meaningful way.